The Best Bible Study Blogs from thousands of Christian and Jesus blogs on the web using search and social metrics. Data will be refreshed once a week. Also check out Bible Study Podcasts and Bible Videos from Best 10 Bible Youtube Channels. 2.38 The Bible in a Year - and Beyond! 2.40 Rhapsody Bible | Changing lives, touching communities! Bible Study newsletter is a comprehensive summary of the day's most important blog posts and news articles from the best Bible Study websites on the web, and delivered to your email inbox each morning. To subscribe, simply provide us with your email address. About Blog Read, hear, and study Scripture at the world's most-visited Christian website. Grow your faith with devotionals, Bible reading plans, and mobile apps. Our mission is to honor Christ by equipping people to read and understand the Bible, wherever they are. Facebook fans 894,494. Twitter followers 114,651. About Blog Truth For Life’s mission is to teach the Bible with clarity and relevance so that: Unbelievers will be converted. It is our desire that the preaching on Truth For Life would assist believers in their understanding of Scripture and the responsibilities of Christian living. Facebook fans 387,857. Twitter followers 36,779. Wheaton, IL About Blog Crossway is a not-for-profit ministry publish gospel-centered, Bible-centered content that will honor our Savior and serve his Church. We seek to help people understand the massive implications of the gospel and the truth of God’s Word, for all of life, for all eternity, and for the glory of God. Facebook fans 152,186. Twitter followers 59,994. San Francisco, CA About Blog All things Bible go here. We love the Bible and all that it contains. Facebook fans 1,211,818. Twitter followers 579,185. Nashville, TN About Blog Bible Studies for Life delivers compelling, biblical studies that are focused on real life issues; and free promotional videos that help you make the connection. Mission of Bible Studies for Life is uniquely designed to help your church: Connect the Unconnected, Strengthen Families, and Disciple with Wisdom. Facebook fans 97,146. Twitter followers 25,447. Philadelphia, PA About Blog American Bible Society News shares testimonies and stories of how American Bible Society's work around the world has transformed lives. Our mission is to make the Bible available to every person in a language and format each can understand and afford, so all people may experience its life-changing message. Facebook fans 289,533. Twitter followers 13,840. Bellingham, WA About Blog We strive to give you the best Bible-study experience. That means you get high-end Bible study resources and top-notch customer service when you need help.We use technology to equip the Church to grow in the light of the Bible. Facebook fans 147,108. Twitter followers 95,950. Barrington, IL About Blog Unlocking the Bible shares the Power of the Open Book through online Christian radio, sermons, devotionals, podcasts, and other Bible resources from Pastor Colin Smith. Unlocking the Bible challenges listeners to believe that their lives can be transformed by ‘The Power of the Open Book’ through consistent study of the Bible and a deepening faith in the gospel of Jesus Christ. Facebook fans 140,209. Twitter followers 15,968. San Jose, California About Blog Chris Christensen provides a weekly bible study podcast (audio show) looking at scripture from a Christian point of view. The bible study podcast is a podcast about what the bible says. Facebook fans 319. Twitter followers 28,035. Dallas, Texas About Blog The Bible.org staff and supporters share the vision to harness the Internet for God and freely provide the NET Bible and trustworthy Bible study material to everyone on earth so they become equipped for global impact, able to complete the Great Commission in one generation. Facebook fans 139,858. Twitter followers 4,841. About Blog A Christian Blog with Daily Bible Verses. Facebook fans 162,371. Twitter followers n/a. About Blog A blog offering concise Bible studies designed to help Bible-believing Christians mature in their faith and become more knowledgeable of Scripture. Our mission is to uplift the Name of Jesus and encourage Christians to know God and better understand His Word. Facebook fans 224,912. Twitter followers 5,033. About Blog Bible study is essential to our Christian walk. As we study God's Word, our personal relationship with God grows deeper and deeper. It empowers us to live for the Lord in every aspect of our lives. This is what has inspired me to do an online Bible study. Here you will find inspirational articles, videos, and Bible studies that will deepen your relationship with God. Facebook fans 246,141. Twitter followers 46. About Blog Explore the Bible is a book-by-book Bible study for small groups and Sunday School classes of all ages that takes participants deep into the context of God's Word and challenges them to live it out in their own context. Our mission is to assist churches in building great Bible study groups through a systematic study of all the books of the Bible. Facebook fans 14,379. Twitter followers 27,634. About Blog News and analysis related to biblical geography, history, and archaeology. Facebook fans 1,711. Twitter followers 848. About Blog For nearly 40 years, the Association of Certified Biblical Counselors has been certifying biblical counselors to ensure doctrinal integrity and to promote excellence in biblical counseling. Facebook fans 11,479. Twitter followers 5,163. Global About Blog A One-Stop Shop for All Things Biblical and Christian. Facebook fans 78,572. Twitter followers 14,530. About Blog TheLAB exists to function as a “think tank” for those engaged in scholarly study of the Bible. We intend theLAB to be a place of fresh ideas, fruitful dialogue, and lively debate. theLAB intends to make a modest contribution, specifically in the context of academic study of the Bible, to intellectually rigorous and spiritually motivated dialogue in the service of the church. About Blog We're a small team of Bible geeks who want to make it easier to read, study, and teach the Bible. We make resources that help you get the big picture of Scripture, and then dig into the details yourself. Facebook fans 1,273. Twitter followers 45. San Francisco, California About Blog The Womens Bible Cafe was founded in 2009 as a place for women to gather online and study the Bible together. Non-denominational online Bible studies for women around the world. Our mission is to encourage women to find intimacy with the Lord through scripture study. Facebook fans 87,598. Twitter followers 77,719. Bellingham WA About Blog Bible Study Magazine is dedicated to providing readers with tools and methods for Bible study, as well as insights from respected Bible teachers, professors, historians, and archaeologists. Facebook fans 41,272. Twitter followers 11,209. Louisville, Kentucky About Blog Blog by Liz Curtis Higgs. Her messages are biblical, encouraging, down-to-earth, and profoundly funny, helping both sisters and seekers embrace the truth of God’s amazing, unchanging grace. Traveling wherever God leads. Sharing the joy of knowing Him. Facebook fans 83,976. Twitter followers 24,040. About Blog New domain names ending with .BIBLE are now available on the Internet! Get a memorable and meaningful domain name to share your love for the Bible. The mission of .BIBLE is to encourage Bible engagement, translation, innovation, and global partnerships so that all people may experience the life-changing message of the Bible. Facebook fans 5,442. Twitter followers 616. Lincoln, Nebraska, USA About Blog Back to the Bible Canada is part of a worldwide ministry dedicated to leading people into a dynamic relationship with Jesus Christ. Facebook fans 4,192. Twitter followers 4,756. Facebook fans 2,050. Twitter followers 19. UK About Blog Wycliffe Bible Translators believe that the Bible is the best way for people to come to know and understand who God is. Our vision is that by working with churches, organisations and individuals from around the world all people will have access to God's word in a language that they truly understand. Facebook fans 2,856. Twitter followers 4,570. About Blog Chronological Bible Blog believe that God wants you to know more about Him, His character, His ways, and His incredible story of redemption. And I believe God wants to transform you more into the likeness of His son Jesus on a daily basis. One of the best ways that God can do all of this is by us reading and studying God's very Word, the Bible, for 15 minutes each day. Facebook fans 1,450. Twitter followers n/a. Gloucester, UK About Blog Rollin Grams worked at United World Mission in Theological Education and Ministry Training.His mission is to teach the Bible,train ministers for God's people and transform disciples into Christ-likeness.He encourage Biblically centred Christian disciples and communities seeking to know the Scriptures,interpret them well, and communicate them effectively. Rolling Meadows, IL About Blog Meadows Christian Fellowship is a seasoned church in a new phase of life in the Northwest Suburbs of Chicago. We honor God by helping people to KNOW, LOVE and BECOME like Jesus Christ. Facebook fans 269. Twitter followers 6. About Blog Grace 4 D journey focuses on providing encouragement and strength for people going through tough times; and motivates Christians to a deeper walk with God. About Blog Notes for a three-year journey through the whole Bible. About Blog Buy bible covers for men, women and children for bible study, church, and everywhere you bring your bible! About Blog The Word of God is Spirit and Life. After reading this verse the Life of Human can change forever or life will be never be the same again. When one does not know where to look for solutions during most difficult and painful times in Life, if believed with heart and soul, these verses can make the life take complete u turn or see a totally new perspective with a will to LIVE FOR TRUTH AND LIGHT. About Blog A friendly place where you can learn, grow, fellowship, and make friends around the Word of God. Bible Baptist Church exists to lead people into a redemptive and growing relationship with the Lord Jesus Christ. The Bible is the central focus of the teaching at Bible Baptist. Facebook fans 294. Twitter followers n/a. Lagos, Nigeria About Blog Be inspired through #BibleStudy #Devotionals for women in all seasons of life. Facebook fans 1,059. Twitter followers 124. About Blog The Scottish Bible Society seeks, under God, to put the Bible into people's hands and hearts. We work so that all people can have the Bible in a language they understand, a form they can access and at an affordable price, to aid genuine encounters with God. Our vision is to see communities and cultures transformed as people encounter God in the Bible. Facebook fans 1,859. Twitter followers 685. Sturtevant, Wisconsin About Blog At Racine Bible Church in Racine, Wisconsin, we are not ashamed of the gospel of Jesus Christ for it is the power of God for salvation to everyone who believes. Facebook fans 455. Twitter followers 187. 38. The Bible in a Year - and Beyond! About Blog Join me in reading through the Bible in One Year! We will follow a reading plan together and go beyond just reading the Bible, to studying it. We will post about the passage and learn from each other as we grow in our walk with the Lord. Join me in the pursuit of discernment! California About Blog Online Bible Study Downloads with sound Bible teaching perfect for individual study or group study. Facebook fans 325. Twitter followers n/a. 40. Rhapsody Bible | Changing lives, touching communities! Worldwide About Blog The Rhapsody of Realities Devotional Study Bible offers a solution to this challenge in its compact package that combines features of the most important book on earth—The Holy Bible —and the best-selling daily devotional—Rhapsody of Realities—to produce an exceptional Study Bible. Facebook fans 1,181. Twitter followers 40. About Blog Chronological Bible Teaching: Understanding His Story, Embracing His Story, Telling His Story. Reading the One Year Chronological Bible enhances readers ability to grasp the storyline of the Bible. California, United States About Blog BibleSumo is a blog with Bible study articles and resources to help evangelical Christians pursue Jesus Christ through Bible reading and Bible study. Facebook fans 83. Twitter followers 11. About Blog We are the publishers of Online Bible in the USA and Canada but we also distribute many other outstanding products. Korea About Blog Where I share things I have learned through my personal devotions. Daily Bible Study Vlog from a me, a normal person living life. Facebook fans 11. Twitter followers 87. Florida About Blog Bible Prayers from Bible verses and Holy Scripture found on Bible Gateway then prayer-a-phrased as poems, lyrical free verse, or poetic prayers. Facebook fans 509. Twitter followers 11,609. Denver, CO About Blog A Blog About the Bible, Catholicism and the Habit of Study. I love the Bible and want to help Catholics read it more and read it well. I enjoy reading, writing, and teaching. Blog by Mark Giszczak. Facebook fans 175. Twitter followers 195. About Blog 365promises.com is a website that features a paraphrased Bible promise each day with a devotional thought written by Barry Adams. Our mission to share the message of the Father's love every where and in every way. Facebook fans 63,565. Twitter followers 948. U.S.A. About Blog The Great Adventure is a Catholic Bible learning system that makes the complex simple by teaching the story of the Bible. The Great Adventure Catholic Bible study program is designed in such a way that anyone can make sense of the Bible and experience the life-changing power of God’s Word. Facebook fans 9,818. Twitter followers 1,805. About Blog BibleMesh seeks to combine a deep passion for Scripture and excellent scholarship to provide trusted theological education for the people of God on mission in the world. BibleMesh gleans the best teaching of this and previous generations, utilizing cutting edge technology, to provide a high quality online learning environment. Facebook fans 34,617. Twitter followers 927. Double Oak, TX About Blog Crossroads is a Christian fellowship that has been ministering to southern Denton County, TX since 1986. Our mission is to Follow Jesus. Make Disciples. We do this as we gather in worship, grow in small groups, and go into the world. Facebook fans 800. Twitter followers 164. Lansdale, PA About Blog Blog by Peter Enns. I tell stories about everyday normal people and their struggles with the Bible. The Bible is supposed to be the book that tells us what God is up to, but once you start reading, you get more than you bargained for. I tell stories about this messy Bible and what it means to read it with both eyes open to its problems and challenges, and to its promises and possibilities. Facebook fans 11,359. Twitter followers 10,882. Vancouver, WA About Blog Evergreen exists to make disciples of Jesus Christ by being a church of disciples who faithfully practice worship, discipleship, ministry, and outreach, which are all built on the foundation of scripture and prayer. Our mission is to make you learn and live God's Word in love. Facebook fans 493. Twitter followers 2. Henderson, NC About Blog Welcome to The Spirit of the Scripture, a blog dedicated to discussing the hidden meanings beneath the literal interpretations of the Bible. This blog is written by Joshua Tilghman. About Blog Christians know the Bible is important, but most of them have trouble actually reading and understanding it. Lots of people are simply giving up on the Bible. The Institute for Bible Reading provides people with resources and frameworks that fundamentally change the way they read the Bible so it can achieve its mission and become the story that defines their lives. Facebook fans 590. Twitter followers 128. Facebook fans 167. Twitter followers 659. Grand Rapids, MI About Blog The strongest prayer is to pray the scriptures. Mommy's Bible Blog would love to pray for you! Prayers focused on children, parenting, and family ~ based on the Bible. "And I will do whatever you ask in my name, so that the Son may bring glory to the Father. Facebook fans 2,368. Twitter followers 16. Cool, CA About Blog Your Basic Bible Blog by Jay McCarl. 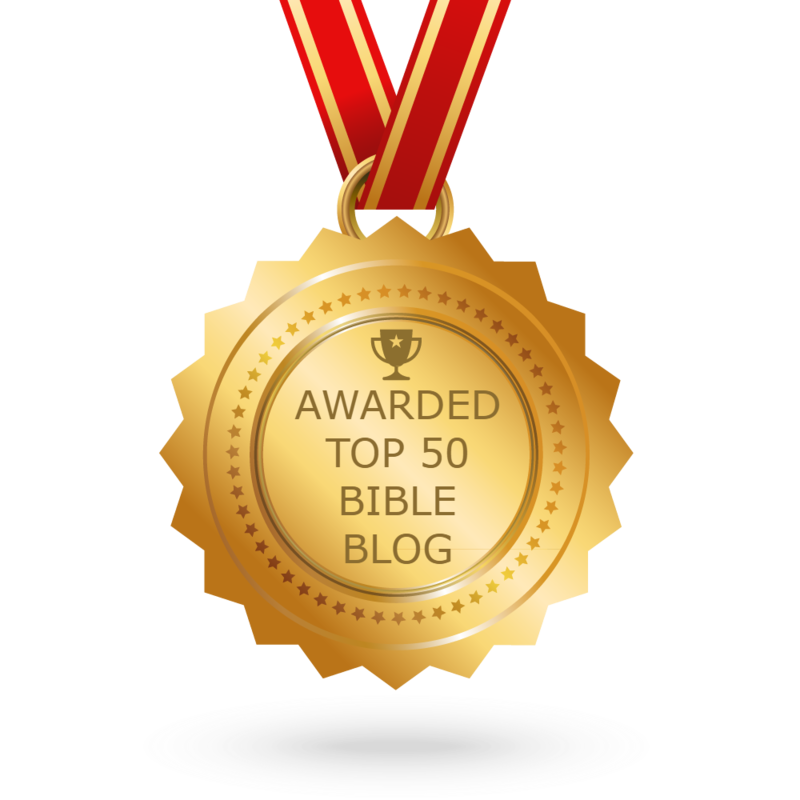 CONGRATULATIONS to every blogger that has made this Top Bible Study blogs list! This is the most comprehensive list of best Bible Study blogs on the internet and I’m honoured to have you as part of this! I personally give you a high-five and want to thank you for your contribution to this world.